﻿ Amol Paper Mills Pvt. Ltd.
We produce paper bags made from Pure Vegetable Parchment(PVP), a special paper that helps retain the natural flavor, aroma and freshness of food, fruits, vegetables, chicken, mutton or fish when wrapped and frozen or chilled in freezers or coolers. It is also oil-proof and possesses excellent wet strength. This does not allow the packets to get contaminated as the juices are sealed inside the bag itself. 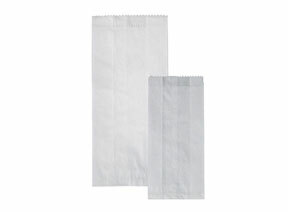 Heat-sealable paper bags are also available. PVP paper is certified safe under USFDA 176.170 for direct contact with food.